Anyone who has tried to lose weight knows it can feel impossible. You may ask yourself this, “I am doing everything right, but why am i not losing weight?” Despite having the best diet intentions, you won’t be able to accomplish much unless you know exactly what you’re doing. Here some common mistakes people make when attempting to lose weight. This happens whether we are losing weight or not. Eating dinner at 8 or 9pm is a big NO for weight loss. Our body is functioned to burn more calories during the first half or the day, and this is also the time of day we tend to be most active. Consume your largest meal at lunch and choose light option of food at your “late” night dinner if you regularly work late or go to the gym after work. Many people give up on losing weight so easily is because of the unrealistic goals they have set for themselves. Taking short cuts and expecting fast results are some of the goals, just to name a few. One can overcome this problem by analyzing, setting short-term goals to push them out of their comfort zone. This may be the most common mistake that prevents people from reaching their diet or fitness goals. Your body will remain the same state if you don’t plan your food intake or eat according to your appetite. Losing fat or building muscles requires effort to not under-eat or over eat in order to prevent your body system for going haywire. There are many of videos and weight loss products in the market. The videos may teach you how to have abs in 3 minutes or fastest way to lose weight. 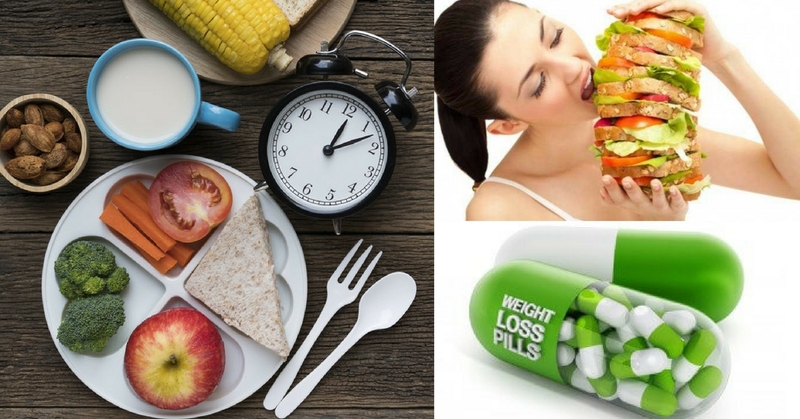 Some of the weight loss products such as weight loss pills promises to melt the fat away with their pills. These are all unsustainable programs. There are no quick fixes when it comes to loss weight. Did you find any of these mistakes surprising? Do you know other mistakes or do you have some diet tips that aren’t mentioned here? Feel free to share your experience with us in the comments!